Willkommen bei Shiloh Tal Bears Den! Das Ferienhaus ist ein 2000 Quadratfuß im Chalet-Stil Haus, das 12 Gäste beherbergen können, mit Raum zu streuen und sich bequem. Das Erdgeschoss verfügt über einen schönen großen Raum mit einem 17 Fuß Aspen Laubholz Decke, Vollglasfront und Sat-TV. Das Vollbad verfügt über ein Serenity Duo Caldera Zwei-Personen-75 Gallonen versunkenen Jacuzzi-Wanne mit Romantik smaragd Beleuchtung und ist voll ausgestattet mit Handtüchern und Pflegeprodukten. Die Küche ist komplett ausgestattet mit einer Mikrowelle, Herd, Backofen, Geschirrspüler, Eismaschine, Kühlschrank und Kochutensilien gebaut. Die großen 16-Fuß durch 32-Fuß-Hängeboden enthält ein Kingsize-Bett, zwei Einzelbetten, und eine drei Viertel Bad mit einer Fliese begehbarer Dusche. Das Loft verfügt auch über einen Full-Size-Airhockey Tisch, in dem für alle, die während Ihrer Reise nach Glacier National Park, dass Tag wanderten sie herauszufordern. Es gibt zwei große Schlafzimmer, jedes mit zwei Queensize-Betten, im Erdgeschoss. Das Wohnzimmer ist für Ihre Entspannung mit Liegen Liebe Sitze, einen Fernseher mit Satellitenschüssel Netzwerk- und Videorecorder, Stereo Surround-Sound, und eine gemütliche Gas log Kamin-up gesetzt. Es gibt eine überdachte Terrasse auf der vor dem Chalet und einem geräumigen offenen Sonnendeck auf der Rückseite des Hauses, wo die Gäste sitzen und genießen Sie die Outdoor-Schönheit. Diese Eigenschaft ist ein idealer Rückzugsort für eine große Familie, Familientreffen, oder mehrere Familien, die zusammen reisen. Das Anwesen teilt sich den schönen 17-Morgen-Waldland mit dem abgeschiedenen kleineren Kabine als die Fox Den bekannt. Das Master-Bad im Erdgeschoss verfügt über einen begehbaren Fliesendusche und eine versunkene Zwei-Personen-Jet Jacuzzi 75 Gallonen Badewanne. Es hat auch einen großen zwei Waschbecken Eitelkeit Kabinett. Das Bad im Obergeschoss verfügt über einen begehbaren Dusche und einen Waschtisch. Great "home away from home"
We enjoyed our stay at the Bear's Den very much! It was very comfortable and cozy! The kitchen was well stocked and made preparing our own meals easy. Tod was great to work with and treated us so well! We looked forward to coming back to the house and relaxing after a day spent in Glacier! We would definitely stay here again! We very much enjoyed our stay at this beautiful property just outside Glacier National Park. The home was very comfortable and provided a great jumping off point for our hiking and fishing experiences in and around Glacier. We highly recommend this property! Great location, friendly owner, enjoyed our 5 night stay. Great location from West Glacier. Friendly owner, who is very accommodating and offers great suggestions. Lovely cabin and yard. Enjoyed our stay. Ample amount of room for 4 adults and 5 children. Could of easily had another family stay with us, but we enjoyed the space. I don't think we could have ever found a better place for our vacation. We had so much fun. The grandkids were busy playing outside and inside they never had time to get bored. We sat around the firepit at night made smores and roasted hotdogs. The time went by too fast we want to go back. All of the pictures are good but you have to see this place it is so much better than the pictures. Perfect location, we just got out of the car and opened the door of the cabin and couldn't believe how great and large this place was. So close to Glacier we were in and out 3 different times and went to Whitefish and Kalispell also. We were very happy to be in this house. 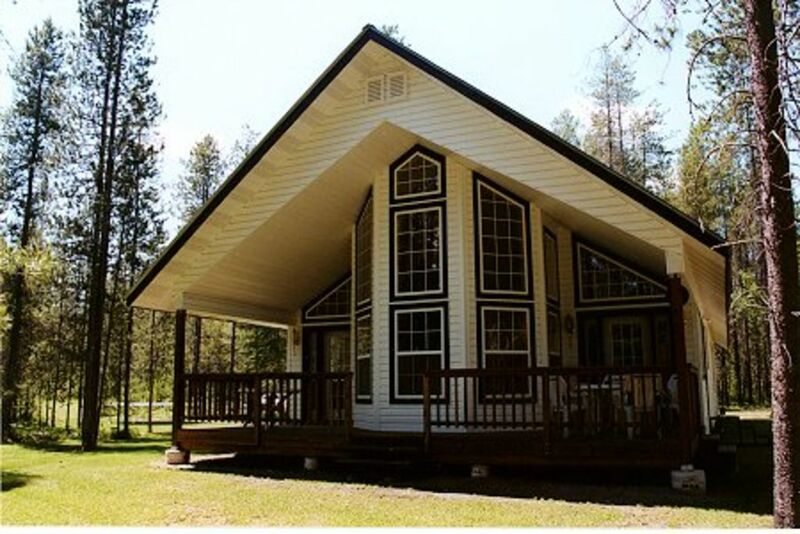 It has numerous amenities such as a very well stocked kitchen, fire pit, gas heater, etc. We had to contact the owner, Tod, and he was very accommodating and kind in assisting us to the house and explaining all of it's comforts. Location to West Glacier was very close. Good house for multiple families. Wifi was spotty, and having t-mobile was not an asset in MT. Definitely recommended! This rental was perfect for our vacation. The location couldn’t have been better. It is really close to the glacier west entrance but still close enough to several towns to make shopping and eating out convenient. It is not 100% secluded but still feels very private. The proximity to the highway and train mean that you can hear both when outside but neither was an issue for us. The house itself is very spacious and well maintained. Had everything we needed in the kitchen to cook meals. The firpit in the back was a great touch and lots of firewood was provided, but no kindling to help get it started or an axe to chop the bigger pieces. This may have only been an issue for us because it rained and everything was pretty damp. We did not use the front porch because the doors leading to it did not work (can access from the yard) but the back porch was a nice place to relax. The Wi-if worked very well as did the satellite TV. Overall this place gets five stars and we would and probably will stay here in the future!